I'll be honest. It's been a slow month for my bookshelf. I blame the Olympics 100%. I'm a mega fan and my life for those two weeks mid-month pretty much revolved around the television. It's so abnormal for us to watch that much TV and I've never been so sick of commercials, but you just can't replace the emotions the Olympics bring. However, I told Kevin at about day 10...."I miss books." I really did. I missed books like crazy. I was only reading a few pages a day before bed and that was not nearly enough to satiate my literary needs. Thanks to long, cold month of January and to the wonderful Jamie for providing enough content to make it through February posts. As we move into spring, you can expect my reading pace to pick up again. Grad school is reaching full speed, but one of next courses had two books on my On Reserve list required as textbooks. What luck! I can't wait to share those with you. 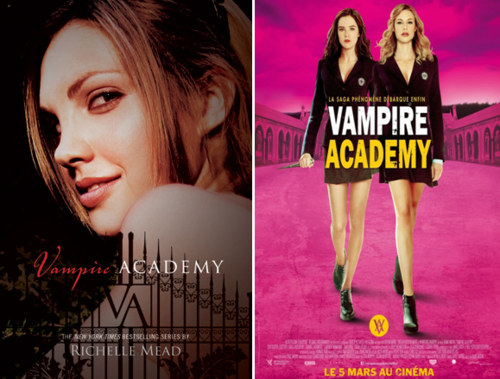 If you missed Movie Mondays this month, it was all about the chick flicks. First off, I covered the old school chick flick, The Age of Innocence. Let's just say that Martin Scorsese has nothing on Edith Wharton. Then, I jumped to the modern chick flick and covered Austenland. I was completely charmed by Keri Russell and crew in this romantic comedy served with a dose of snark. And so we come to another book that has spent a long time On Reserve. 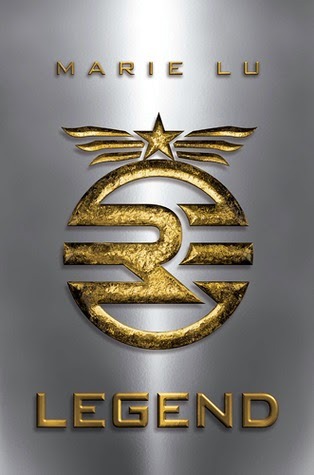 Marie Lu's Legend has floated around Hunger Games comparison lists since its release in 2011. The setting is future West Coast, although, little clues throughout the novel suggest that major flooding may have resulted in a changed coastline. The main characters are June and Day, 15 year old prodigies whose intelligence has led them down very different paths. June has soared through her education and becomes the youngest member of the Republic's military force. Day, on the other hand, has been led to believe he is a failure and narrowly escaped the death that comes to the unwanted. He lives as a fugitive, fighting against the Republic in small ways reminiscent of Robin Hood. Interestingly, Lu has said she came up with the concept for the book from Les Misérables. She wanted to play with the idea of the hunter and the hunted in a more modern setting. Knowing that adds an interesting dynamic to the story. Before I get started this morning, I want to congratulate Jenna Evans on winning a copy of Under the Wide and Starry Sky by Nancy Horan! So, last week I told you all about my Austenland experience. 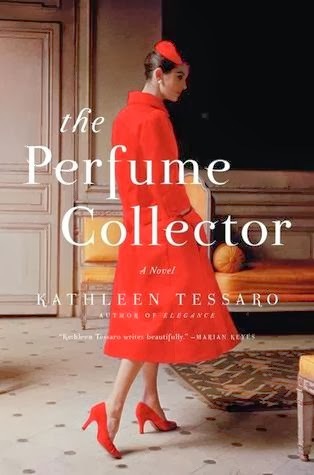 The book was pure chick lit - a little saccharine for my taste, but not bad. I never would have picked it up to begin with were it not for the movie. I really wanted to see the movie. The movie, starring the delightful Keri Russell as Jane, carries quite a bit more snark and sarcasm, exactly the quality for which the book left me wanting. My heart may be softening, but I just cannot swallow a sugary sweet happily ever after without something to offset the fantasy. The movie, unlike its inspiration, hit just the right balance for me. This year I am thrilled to be partnering with my dear friend Jamie for her Before the Silver Screen project. She is reading the books this year's blockbusters are based on before they hit theaters. Check out her blog to real all the reviews! If you have been a regular reader lately, you know how awesome Jamie's posts have been. So far, she's covered Labor Day and The Monuments Men. Both great posts! Today, we're taking a sharp left turn as far as genre goes. This post has a giveaway at the bottom! 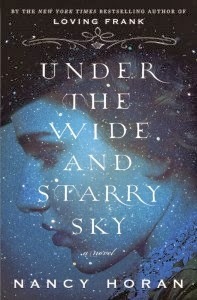 Don't miss your chance to win a free copy of Under the Wide and Starry Sky by Nancy Horan! Is anyone else out there just so completely ready for spring? I am so sick of snow and feeling cold. I barely remember what it's like to be genuinely warm. I would kill for tank top weather. Last week, This American Life did a great episode focused around beach stories. The motivation behind this idea was that all of us stuck in the Midwest are sick of cold and needed to be reminded of summer days. I loved it. In a similar way, Nancy Horan's Under the Wide and Starry Sky had a similar effect for me. At least, the chapters about the Stevenson family living in the South Pacific did. Horan's novel is historical fiction based on the real lives of Robert Louis Stevenson and his wife, Fanny. The book covers the time period from just before they met to Robert's death. Horan obviously did a great deal of research for this work. Her narrative is very detailed and, without doing my own research, I never would know which details were fact and which were fiction. She even pulled old diary entries and letters to include. I broke down and read this book. I really want to see the movie and the book is obviously a mandatory prerequisite. Somewhere, in my stone cold heart, there must still be a tiny corner for chick flicks. They had free reign when I was in high school, but, after a couple of major heartbreaks, they have taken a back seat to anything dark and complicated. I love a good tragedy. Atonement is one of my desert island movies. Does that mean I need therapy? Since I met Kevin, however, he has slowly been opening me back up to the lighter side of life. I hadn't cried for two years when we started dating and now I cry at every freaking proposal video on the internet. I'm even starting to like stuff like chick lit a little bit again. Thanks a bunch, babe. Runny mascara is the best and you've brought that back into my life. 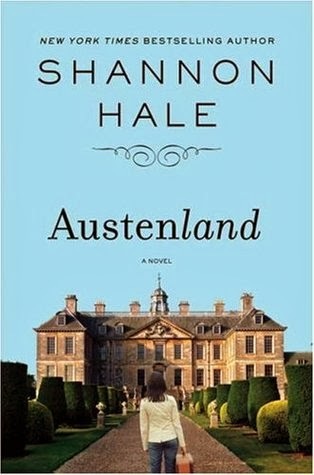 All that to say, Austenland looks fun. Who doesn't like Keri Russell? Plus, it stars Jennifer Coolidge and Bret McKenzie from Flight of the Concords. That's comic gold right there with a heroine just sweet enough to warm your heart a bit, too. I cannot pass judgement on the movie just yet. Netflix will deliver it soon enough and a Movie Monday will undoubtedly follow. The book, however, I have conquered and have some opinions about. I mean, otherwise I would not be writing this, right? This book has been On Reserve since its release last summer. Something about it totally captured my interest. When Trish of TLC Book Tours offered it up on a list of potential tours for early 2014, I jumped at the opportunity to get it off my to-read list and into my hands. The story centers around two women. Eva, a young French girl, works at a hotel in 1920s New York City. Her interactions with regular guests open her eyes to the world. Years later, Grace Monroe of England receives a mysterious inheritance and heads to Paris to unravel the mystery. I found the book positively enchanting. Tessaro created wonderful, colorful characters. Her story contained just enough intrigue to get you hooked and enough substance to keep you hooked. This year, I am thrilled to be partnering with my dear friend Jamie for her Before the Silver Screen project. She is reading the books this year's blockbusters are based on before they hit theaters. Check out her blog to read all the reviews! We should probably all just agree that we loved Jamie's guest post about Labor Day last week. If you have not read it yet, you definitely should. I had no interest in seeing the movie or really reading the book before her guest post; that changed. Because Hollywood waits for no man, Jamie's next review and guest post is coming right on the heels of the last one. In general, these guest posts will be spaced out a bit more, but I am too excited about this one to wait! 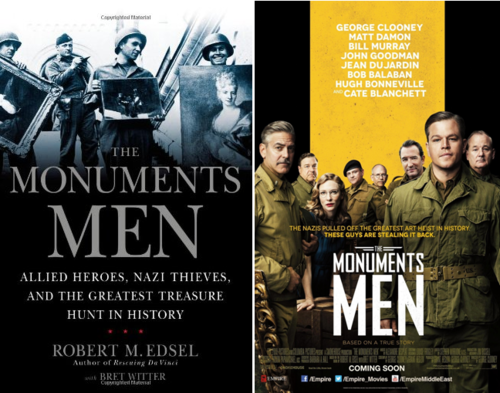 I have been dying to see/read The Monuments Men since I saw the trailer. It's been billed as some sort of historically based Oceans movie. What could be better? Well, it's based on a book and a real life story. Better. Originally, I wanted to read this with Jamie, but by the time I hit my library's website, I was 200-something on the waiting list for the book. I hope to read it later this year. For now, though, you can enjoy Jamie's thoughts on the book and the adaptation. I have been looking forward to this movie since reading the book back in the fall. I adored Edith Wharton's The Age of Innocence. I felt so certain that the story would translate well to the screen and capture me just as the novel did. I didn't hate the movie or anything. It was fine. It just...bored me. Let's start with casting. Daniel Day-Lewis and Michele Pfeiffer, while both incredible actors, seemed too old for their parts. When I read the book, I imagined young hearts, just on the cusp of adulthood. I supposed I should be realistic and note that the Countess Olenska's character has already been married for years when the story takes place. Still, in that era, she could have married at 16 and still only be in her early to mid twenties. Instead, the two were portrayed somewhere much closer to or older than thirty. Winona Ryder, on the other hand, plays a simply delightful May. I felt she captured the innocence of the character well and her age seemed correct. I am incredibly excited to be introducing you all to Jamie! She is my cousin by marriage, but friend by choice. She loves books with the same passion that I do. Besides her literary enthusiasm, she is just a generally awesome person. You're missing out by not having her at your family gatherings - I promise you. You may have noticed in my January Chapter post on Monday, I mentioned Jamie and her goal for the year. She's tackling Buzzfeed's list of 16 Books to Read Before They Hit Theatres This Year. Jamie has set up her own blog just for the project. If you want to follow her there, and I highly recommend that you do, you can do so here. I am going to be reading a few of the books along with Jamie. Others, I am going to have her guest post here. That's the case today! 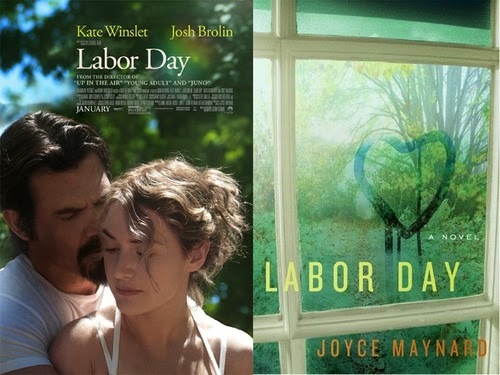 Jamie just finished Labor Day by Joyce Maynard, both the book and the movie. Keep reading to hear her thoughts about each! If you have been around Read.Write.Repeat. for any length of time, you know how much I love history. I particularly enjoy reading about women throughout history. There stories are so often skimmed over in history classes but are just as rich and interesting as those of their male counterparts. I have had this particular biography On Reserve for several years now. It was long overdue to make it into my hands. Typically, WWII has not been an era of special interest for me. You should all know by know that my weak spots are British royal history and the Gilded Era, to name a few. This book fits in neither of those categories, yet the mystery surrounding this woman intrigues me. Nearly a century after his reign of terror, Adolf Hitler still lives in infamy as one of the most hated, horrible men ever to live. It can be hard to even view him as human. None of us wish to believe we could have anything in common with a man like him. Yet, there was a woman who loved him. 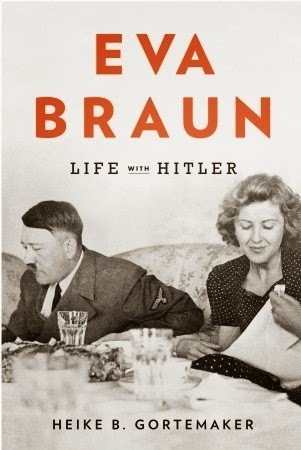 Eva Braun, his mistress of over a decade, his wife and suicide partner at the very end, continues to defy understand and fascinate historians. In truth, we know very little about this woman. As much as I totally, thoroughly, hate winter with every cell in my body, I do have to admit that this month has provided the perfect weather for curling up inside with a book. Lots of snow and frigid temperatures here in the Midwest have cancelled plans and kept us indoors. We even got a few snow/cold days off from work, which is an unprecedented miracle. All the forced days at home paid off. I read more books this January than I did in January 2012 and January 2013 combined! Actually, I read more books this month than I have any month in the past two years. What a great way to start the year! And don't think that all the reading means I was not productive. Kevin and I have started 2014 strong. We've decided this is going to be our year. We've done some major cleaning and organizing in our lives. I've started being more proactive about cutting down our grocery bill and planning ahead. I started (yet another) part-time job tutoring online. I also started my grad program, which I am absolutely loving so far. Things are off to a great start! Here on the blog, I participated in quite a few book tours, which largely account for the amount of reading I did. I'm signed up for quite a few this winter/spring. There are two in February which I am particularly excited about! If you missed Movie Mondays this month, both were classic adaptations of classics. Animal Farm didn't come close to living up to the book, but The Prime of Miss Jean Brodie had me fan-girling pretty hard for Maggie Smith. I also kicked off what I hope will become a great discussion about the Harry Potter books. Kevin and I are going through them together (his first time) and I really want to use this chance to reminisce with all you HP fans out there. Make sure you vote in the poll in the right hand column and share what your favorite HP book is!